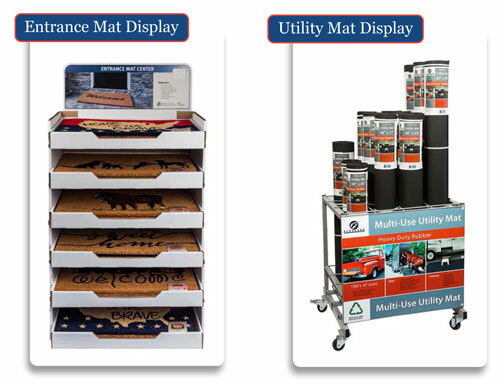 Showcase QRRI Entrance Mats and Utility Mats with these specially designed metal display racks. All display racks come with heavy-duty casters and attractive merchandise headers. Easy to assemble, stock, and position.